The Taiwanese analysts expect that overcapacity will force some solar players to abandon their business or file for bankruptcy. IHS Markit also sees further price declines and consolidation in the third quarter, although it does forecast signs of a speedy recovery. Taiwanese market research company, TrendForce has examined the wider implications of China’s new PV policy. “Faced with the oversupply, Chinese module makers will seek ways to export the excessive products, or even sell off the products to overseas markets,” the analysts said on Tuesday. They are also paying attention to global price developments and when EPC companies will start placing orders. Using Trina Solar to illustrate the price competitiveness of Chinese solar modules in the European market, TrendForce states that if the selloff price for the manufacturer’s product is US$0.25 per watt, then the market price will be $0.39 per watt, including the 56.2% anti-dumping and anti-subsidy tariffs. “This market price would still be lower than other products in the European markets,” it said. In the U.S., meanwhile, where tariffs are as high as 72.54% for Chinese modules, Trina Solar’s product would cost $0.43 per watt, still making it “marginally competitive”. Energytrend estimates that more than 70% of global solar module production capacity is in China. “If the Chinese module makers begin the selloff, the global module prices will be lower. 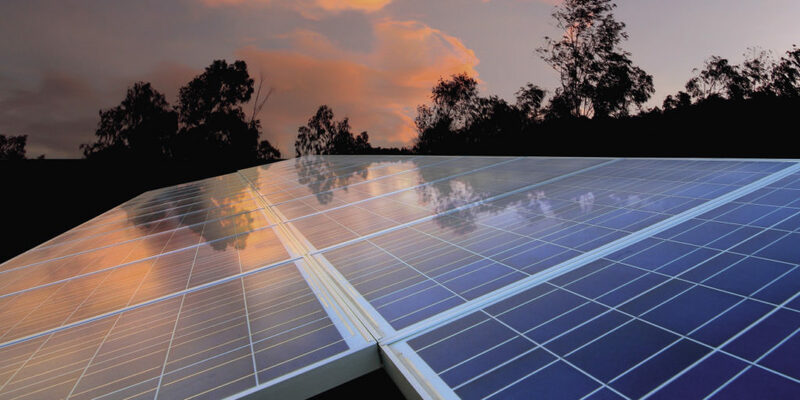 The impact of the selloff on global PV industry is expected to last till 2Q19,” Trendforce analysts said. IHS Markit also expects prices to fall further starting from the third quarter, due to overcapacity and existing oversupply. “This will affect the financial position of the entire PV supply chain,” Karl Melkonyan, Senior Analyst Solar Demand at IHS Markit told pv magazine. Overall, Melkonyan expects stronger demand in the fourth quarter compared to the second quarter of 2018, which will gradually halt the price decline. But then, according to his forecast, manufacturers’ margins will have already fallen to a critically low level, which will force some companies to abandon their business, or file for bankruptcy. “This concerns not only to tier 2 and small manufactures, but can affect … the leading manufacturers too,” Melkonyan said. The majority of the announced capacity expansion plans would be suspended or possibly abandoned altogether. However, the cost and technology leaders are sticking to planned expansions to achieve their goals, such as increasing market share as demand increases or cutting production costs through economies of scale, the analyst added. “We expect several consolidations to happen in the market and do believe to see the recovery signs in fourth quarter already, which will continue to recover quarter by quarter, since global demand remains on its growing path, in particular in many Asian markets,” Melkonyan continued. Melkonyan said that there has been an upsurge in the global solar industry over the past decade, caused by (trade) political barriers, inequality of supply and demand, uncertain prices, and extreme competition. These factors will continue to play a role in the coming years. In the long term, IHS Markit expects consolidation to end with fewer manufacturers and a stabilized situation. The remaining companies will then have much greater capacity, with the best technology and cost leaders prevailing.